Resnična zgodba o Warrenu Jeffsu, fundamentalističnega vodje Mormonov, ki je bil več kot leto na seznamu "desetih najbolj iskanih ljudi" pri FBI, po njegovem begu zaradi domnevne organizacije nezakonitih porok z mladoletnimi dekleti.Biografska drama prinaša resnično zgodbo o Warrenu Jeffsu, fundamentalističnem vodji Mormonov, ki je bil več kot leto na seznamu "desetih najbolj iskanih ljudi" pri FBI, po njegovem begu zaradi domnevne organizacije nezakonitih porok z mladoletnimi dekleti. Pripoved beleži Jeffsov (Tony Goldwyn) vzpon na vplivni položaj po smrti svojega očeta Rulona Jeffsa (Martin Landau). Komaj nekaj dni po pogrebu se je Warren oženil z vsemi očetovimi soprogami in prevzel diktatorski nadzor nad versko skupnostjo poligamnih privržencev. Zgodba se loteva vpogleda v psihologijo vodje verskega kulta in tistih, ki so mu tedaj slepo sledili. 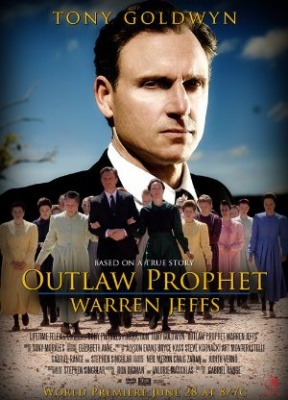 Aged Rulon Jeffs is the leader - the prophet - of the Fundamentalist Church of Jesus Christ of Latter-Day Saints (FLDS) centered in Colorado City, Arizona. His followers believe the prophet is the voice of God. The church espouses polygamy - most specifically men married to several women - as a means of eternal salvation of the highest order. The prophet places the females into marriages, often as soon as they are of child bearing age, which in the eyes of the law is considered child abuse if the female is a minor. Following Rulon's death, his son Warren Jeffs assumes the FLDS leadership as prophet, somewhat against the wants of FLDS council who believed they should vote on who should become leader. Regardless, many of the congregation do follow his word as gospel as their new prophet. But Warren is more reckless in his decisions than his father, with some, including some of the young minor women, questioning his unbending decisions, excommunication often the price for crossing those decisions. He and the church are aware that they are being monitored, most specifically by investigator Gary Engels who would like nothing more than be able to prosecute Jeffs for child abuse and sexual assault, which will require the cooperation of some congregation members who oppose what he is doing and testify in a court of law as to his actions. This is made all the more difficult as FLDS members hold positions of authority within the general population.